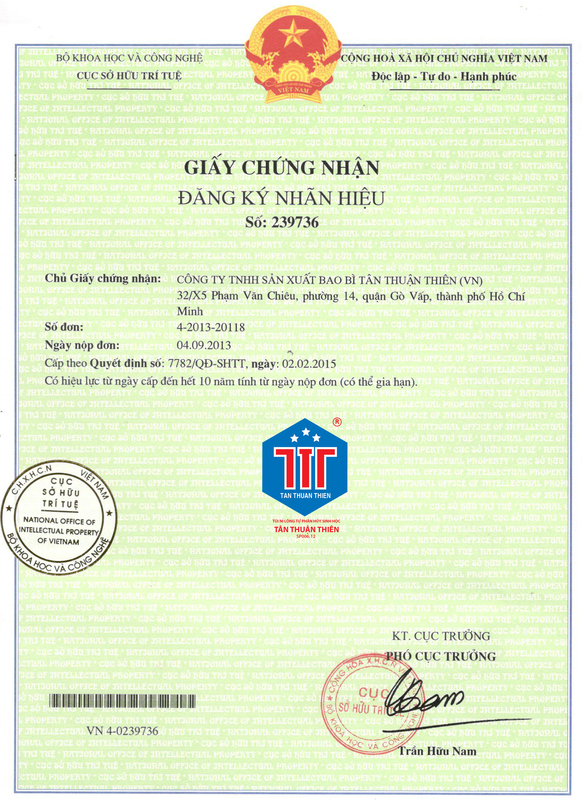 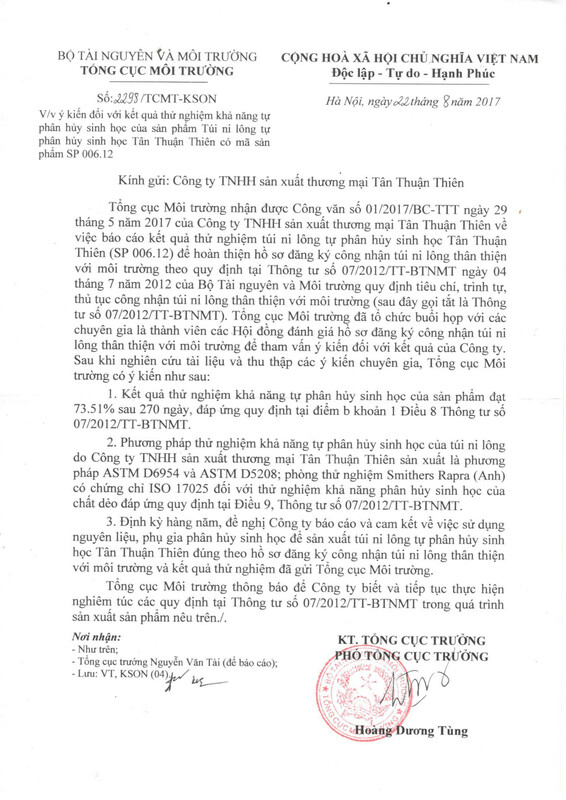 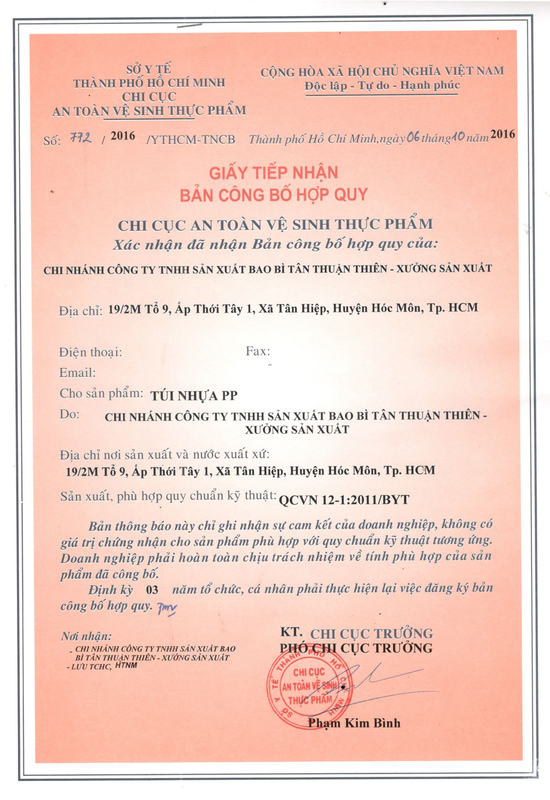 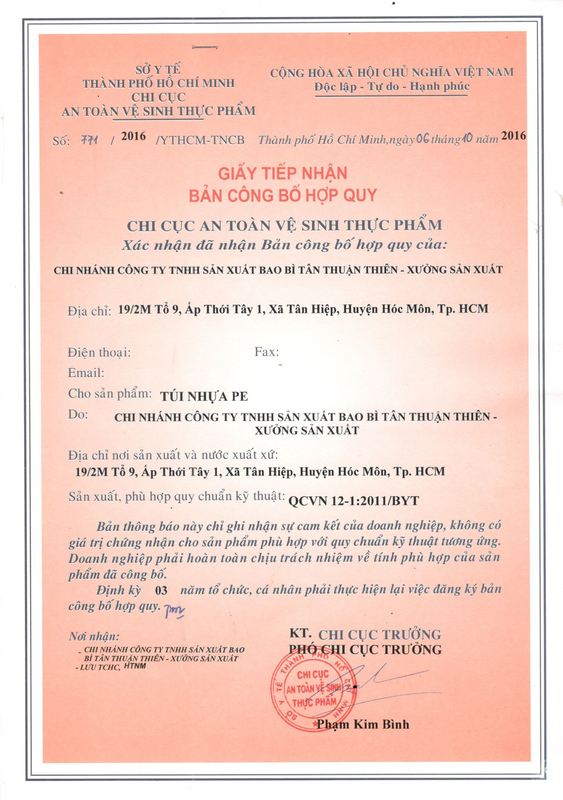 In recent times, Tan Thuan Thien heuristics applied biodegradable and has received Certificate friendly plastic bags by the Ministry of Natural Resources and Environment Level, contribute to creating eco-friendly products schools, improving competitiveness, and satisfy customer needs. 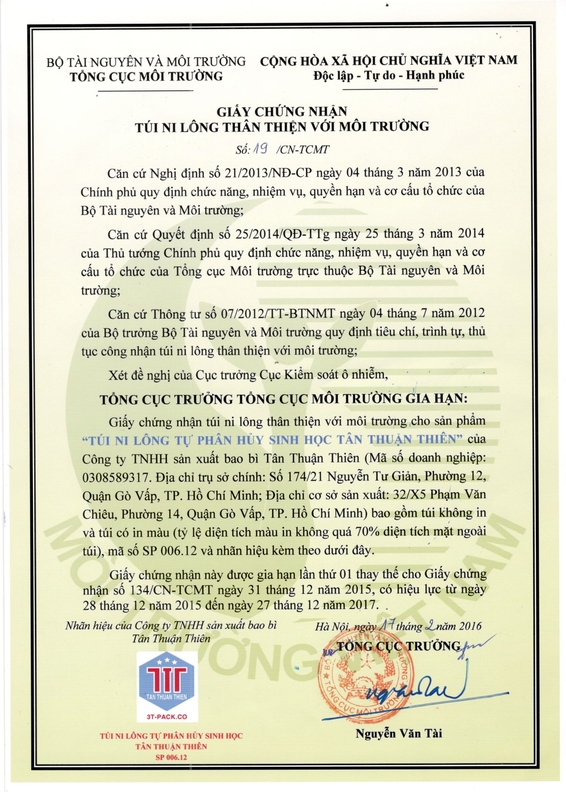 In the journey of production, we always express sincere thank our customers and partners around the Tan Thuan Thien has reached the development and success in recent years. 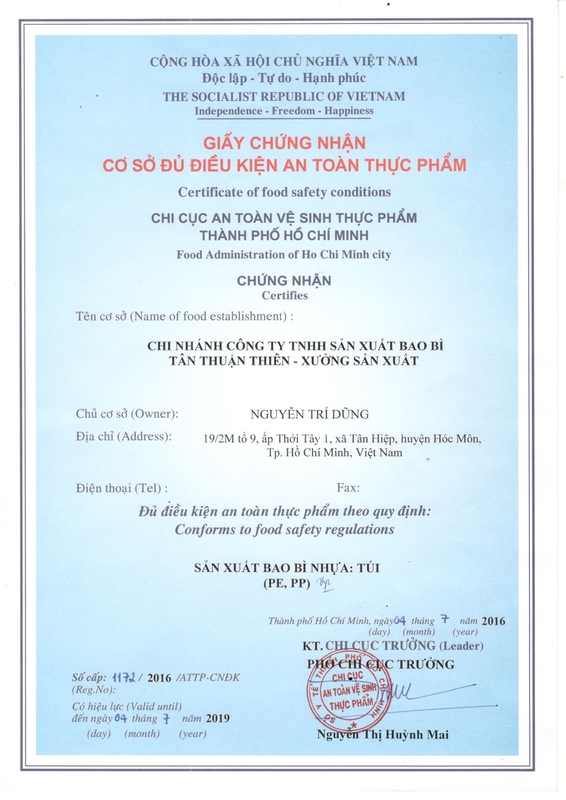 In the future, Tan Thuan Thien Company to expand production as additional equipment investment and workshops to enhance capacity doubled. 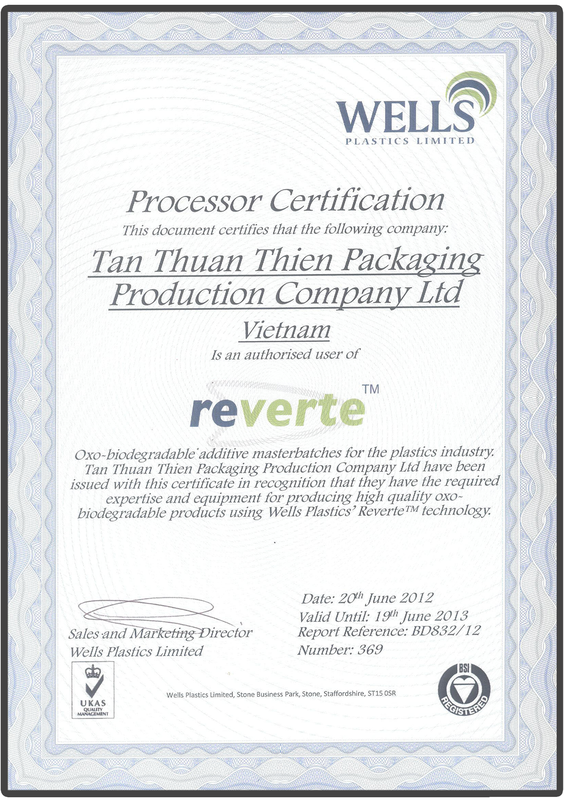 Besides Tan Thuan Thien urged all customers to use new technology in the packaging industry as technology advanced biodegradable bio contribute to improving the value of life and environmental improvements.